Apple Graphics can wrap all vehicles, including motocycles! 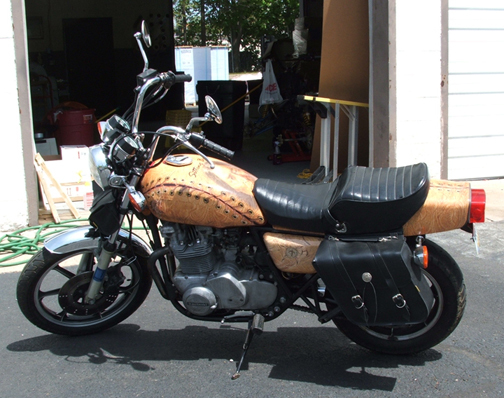 Motorcycle wraps are the newest way to customize a bike and make it stand out on the road. We can wrap any style motorcycle, any make and model. We can wrap tanks, fenders, or the entire bike. 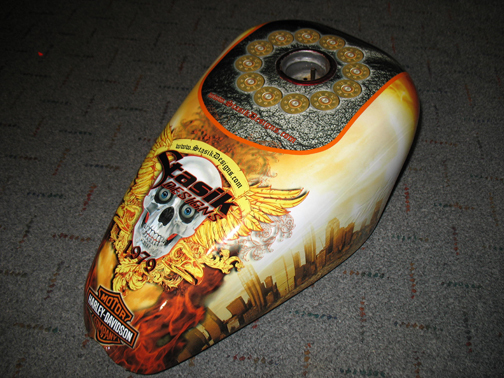 Motorcycle wraps are very cost-effective, and quite a bit cheaper than painting and airbrushing. We work directly with the customer to create the perfect design for their bike, making sure it is exactly what they want. Our wrap designs are unique and one-of-a-kind, so a bike we do will not look like any other on the road! Apple Graphics can take any image a customer prefers and turn it into a motorcycle wrap for them. Vinyl motorcycle wraps last for years and withstand all weather conditions. Apple Graphics can customize any bike!